Are you having trouble ranking in the search engines or increasing your overall blog traffic? If so, maybe it’s time you stop focusing on generic keywords ad start to explore the world of long tail keywords using long tail pro. What are long tail keywords you ask? 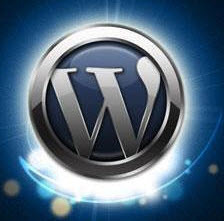 Here’s a simple way to explain it… “wordpress” is a generic search term. If you search for it in Google you will find various topics. Now if you were to search for “free wordpress installation service”, that’s a long tail keyword and if you search for it, you know exactly what you are looking for. What are long tail keywords better than generic keywords? Not only are they much easier to rank for, but they are super targeted in comparison to generic keywords. Let’s use “wordpress” again as an example and see how it stacks up in comparison to other long tail variations of the keyword when using Google Keyword Tool. What you can learn from this is that you can write articles, format titles and focus the efforts of your backlink building to these terms and have a much better chance at ranking in the search results. Yes, many of these keywords have a low amount of search volume, but they are much more targeted. If someone is searching for “wordpress setup service” you can be they are looking to have a wordpress blog setup! One of my favorite software programs out there is called Long Tail Pro, which allows you to look up long tail keywords. It works much like Google Keyword Tool but it also provides you with an competition score, which tells you how hard or easy it will be for you to rank in the search results. You can see a screenshot of the Long Tail Pro results below, using the same keywords we mentioned above. You can see from the chart above that some of these keywords are very easy to rank for. Easy to rank for keywords are in the 20-30 range, medium competition is in the 30-40 range and anything above 50 is quite competitive. Again, it is important to note that the volume on these search phrases is low, but if you were able to rank on the first page for some of these terms, you would be bringing in some very highly targeted traffic to your site month after month. Also if you do the work to target high paying keywords, such as “hosting” related keywords, this could result in a few hundred to a few thousands extra dollars per months. This is one of the major reasons why it’s important to look at the overall value of your long term keywords and not just the amount of people who are searching for the keywords in a given month. Here are a quick features and review of long tail pro keyword research tool. Quick 5 Minute Step: You can setup long tail pro within few mintues, You can quickly get targeted traffic, lead generation made easy! Simple: Easy to use, allows you to create targeted campaigns and research competitors. Effective Optimization: You can use long tail pro keyword research tool to get any type of business result you want. Easy to use. Yes, it’s true! Even Google prefers that users of their search engines use long tail keywords over generic search terms. It provides better search results for the people using Google, and especially for the advertisers of the search engine as well. Just take a look at the screenshot below and see how Google lists a bunch of long tail variations for you to choose from at the bottom of each search page. There are many free tools out there like Google Keyword Tool, Google Analytics and free trial versions of Long Tail Pro that will allow you to analyze the type of traffic and search terms people are using to get to your site. For all of these reasons and many more, you should be using long tail keywords to write better content for your site, target your content better to your audience and rank higher in the search engines. There are currently over a BILLION users on Twitter and Facebook combined! I’m not just talking about having a personal account where you can make friends and have a social following, I’m talking about building an extended presence and following for your blog. 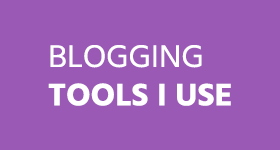 Put Your Blog Branding to Work on Social Networks! 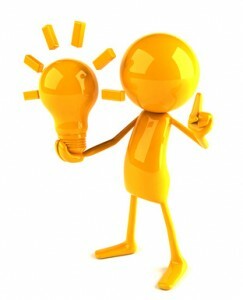 Internet marketing and blogging is all about branding. 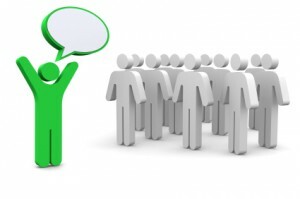 Everyone wants to have a popular blog that everyone knows, talks about and remembers. One of the best ways to do this is to make sure that your blog name and all of your social network urls and branding are the same. This makes it easy for people to search and find where your blog is on the major social networks. The same can be said for your logo and your social networking pages. Twitter backgrounds are actually blog branding machines! How many people are going to visit your Twitter page, read a few updates and then leave? Probably most people. During that time you can use those few seconds as a chance to leave a brand-able impression. This is exactly what I did with my Twitter profile and once Facebook launched their TimeLine update, you can now do the same thing with your Facebook profile and fan pages. There is always a question on what type of content you should be posting to your social networking blog pages. Should you just setup an RSS feed that updates Twitter and Facebook automatically every time your blog updates, or should you post original questions and comments to your audience? 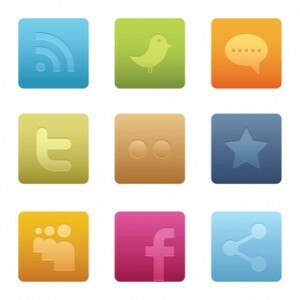 At the end of the day it comes down to what your preference is and how active you are on the major social networks. Even if you are just posting the RSS feed updates, you can still read a lot of people through Twitter and Facebook growth. 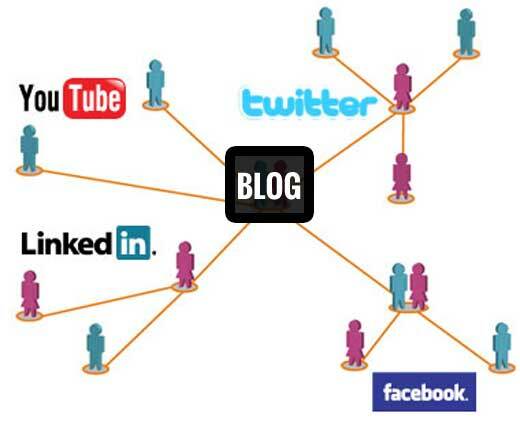 How Can You Expand Your Blog Exposure? If you aren’t currently building out your own blog exposure through Facebook and Twitter it’s definitely something you should think about. Social networking is only going to keep growing in size and once you are setup with your social pages, your following will only keep on growing. For more helpful tips and methods I’ve used to increase my blog exposure on social networks, be sure to check out my new book on Amazon.com titled Blogging Tips: “Confessions of a Six Figure Blogger!“. Are you currently using Google Adsense on your blog, or even thinking about it? You’ve to ask Five Question to yourself Before Using Google Adsense. This blog post just might open your eyes to what you might be doing to your blog and audience for just a few dollars. There was a previous post on this blog titled “12 Things to Do Before Applying for Google Adsense“, which walks you through the process of what you need to make sure you blog looks like and has before applying to Google Adsense. We are going to take that same approach, but with a few different questions to ask yourself if you really want to sacrifice your blog and traffic to the almighty Google Adsense! How much is your site traffic worth? Before using any advertising solution, you need to know what your traffic is and how much they are worth. Entertainment sites and blogs have a low value per user, as they are pretty much there just to view pictures and get news. Product reviews and coupon sites have a high value per user, as they are already in buyer mode. Knowing your average visitor value is a very important thing to know! Are you playing by Google’s rules at all times? Lately Google has been on a tear and throwing many sites out of their Google Adsense program. No matter their reason Google may banner your account, once you are tossed, you are gone for good and they will also keep all of the money remaining in your account as well. Do you really want to work with an ad network that can keep all your profits from this and the previous month? As a Google Adsense partner, you always need to play by their rules at all times. Can you make more money going directly? 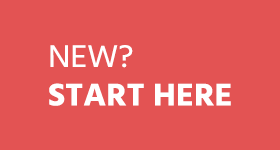 Have you even thought about selling your own banner ad space? There is a good chance you can find a quality advertiser in your niche that will pay a much higher CPM premium over what Google Adsense will pay you. If you are running 125×125 banner ads on your site you can probably fill four to ten of these banner spots and make several times more than what Google Adsense could ever earn you. 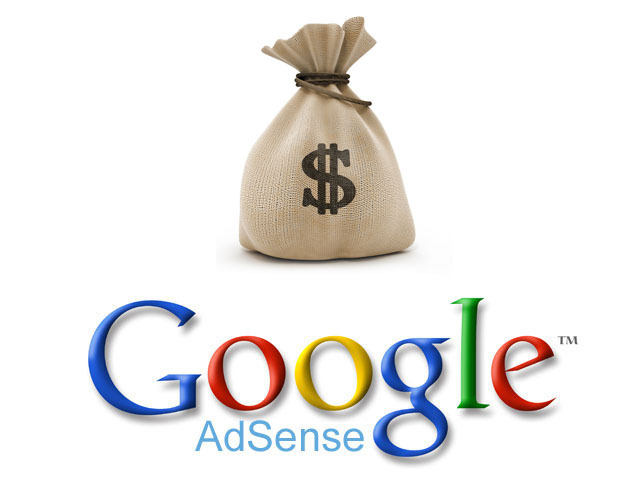 Are you killing your profits by using Google Adsense? 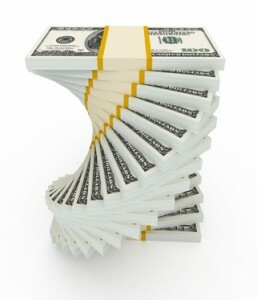 One of the best ways to kill your profits is by throwing Google Adsense on your site. If you are selling products, trying to get people on your mailing list or get them to take any other action… Google Adsense will hurt you. Keep your focus on your end goal of either getting people on your list or getting them to take action. If you have a solid monetization plan for your site, Google Adsense probably shouldn’t be one of them. Lastly… do you like giving away your traffic for a few pennies per visitor? When did you last click on a Google Adsense banner? But whenever someone clicks on any Google Adsense banner, they leave the site they are currently on and get swooshed off to another site. Most of the time Google Adsense is only paying a few pennies per click. Are you losing your traffic for just a few pennies? If you are, it’s not a good business model at all! Google Adsense has made BILLIONS of dollars for Google and their publishers… but there is a reason why it’s so ridiculously easy and simple to setup. Google is making a ton of money by lazy site owners just placing a code on their site and not knowing better. There is nothing wrong with using Google Adsense, but there are much better and more profitable ways to make money! As a site owner and blogger, at some point you might want to start looking at the possibility of bringing in new content writers for your blog. There are many reasons why this can be a good thing and can help propel your blog to new levels that you aren’t able to achieve on your own. Let’s quickly run through a list of reasons why you should think about bringing in more content writers for your blog. Depending on what type of blog you have, it may be easier for you to bring in writers than not. If you are using your personal name as your domain name and brand, you may be more reluctant to bring in guest bloggers and a new writing staff, as they may be representing your name whenever they write new content. However, there are many generic and wide focused blogs out there that can greatly benefit from having new content added to their site. By bringing in new staff writers, not only are you freeing up time for yourself, you are also adding more content to your site and throwing in a new style of writing and probably a bunch of blog topic ideas you might not have thought of. The days of having to pay high prices for original web content is over. There are now more freelance writers looking for work than ever. 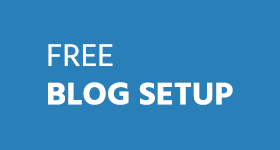 In addition to writers, there are also a ton of freelance and content generation sites out there like Blogging.org, that will allow you to connect with other bloggers and content writers that can start writing for you right away. The concept behind these types of content generation sites is simple. All you need to do is create an account, add some writing jobs and you will get to review each article before accepting and paying for them. Using content generation marketplace web sites is a great way to bring in new content for any site or blog without the need to hire a full time user or teach users how to manage and write for your sites. There are thousands of writers out there just waiting for new jobs to be listed. 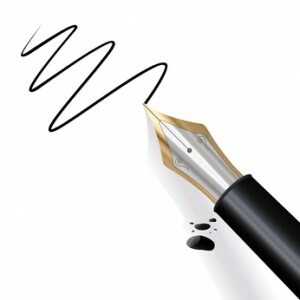 All you need to do is tell them what you are looking for, how many words and in what style of writing. Ever since Google put the smack down on unethical link building methods, there are more people turning to guest blogging every day. There is nothing wrong with guest blogging and it’s a great way to bring in free content for your site, but you will also have to spend a good amount of time reviewing each of the posts that you may receive. In the end, many guest bloggers are out there to make money and they just want a link back to their site or their client’s site in the footer area. Don’t accept every post you receive and make sure to always check for duplicate content and proper grammar usage. I would highly recommend that you take the time to create your own guest blogging guidelines and section on your blog with the type of content and quality you expect to receive. One of the best reasons to bring in new part-time and long term bloggers is because they can massively expand the current promotion you are receiving on your blog. Every time one of your writing team posts a new article on your site, they should be promoting those same posts to all of their social networks, like Twitter and Facebook. If you bring in around five new writers, just think about how many thousands of new people who may be visiting your blog based off their social presence and postings. When you first start thinking about bringing in new writers or buying content for your blog, it can be quite overwhelming. What you really need to focus on is making sure you are only going after quality content. It’s easy to pay for cheap content and accept as many guest posts as you can, but in the end you still want to offer your blog readers high value content that will keep them coming back. To start looking for potential writers for your blog or web site, be sure to check out the top blogger job boards and also start ordering some content through freelance writer market places. Once you go through a few writers and look at what they are offering, you will quickly be able to weed through the good ones and bad ones. Make sure you keep the good ones happy as they are true gems!